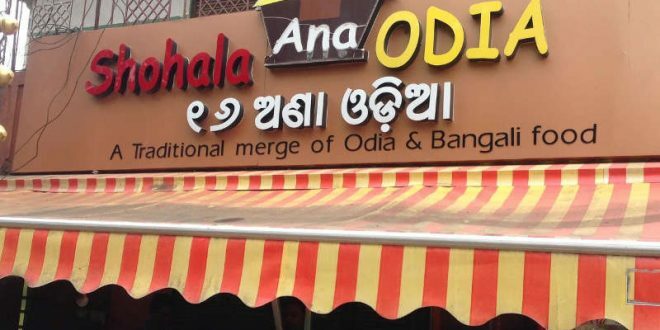 Bhubaneswar: The Odisha government has directed the shops and commercial establishments to display their signboards in Odia language, said an official on Tuesday. They have been directed to use signboards in Odia language as per the provisions in the Odisha Shops and Commercial Establishments (Amendment) Act, which made Odia language mandatory on signboards on shops and business establishments in the state. The government also directed all departments and other government institutions to display signboards in Odia language prominently in their respective offices and institutions apart from other languages, if any, within 15 days. A high-level meeting to this effect was held under the chairmanship of Development Commissioner R. Balakrishnan at the state secretariat here. Balakrishnan directed the labour department to ensure enforcement of display of the signboards prominently in Odia in all the shops and commercial establishments. He also asked the General Administration and Public Grievance Department to issue suitable instructions to all government departments and agencies accordingly. The Housing and Urban Development department was asked to launch a special drive for display of boards in Odia in all urban local bodies. The meeting decided to launch an online portal to receive complaints from the general public about non-display of signboards in Odia language. As per the Odisha Shops and Commercial Establishments (Amendment) Bill, 2018, which was passed in the state Assembly in May this year, all shops and establishments will pay fines ranging between Rs 1,000 and Rs 5,000 for a first violation and rising to between Rs 2,000 and Rs 25,000 for the second violation for not using signboards in Odia language in the state.